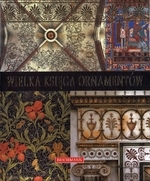 245 10 aWielka księga ornamentów : bmotywy dekoracyjne na podstawie = patterns for interior decoration based on = Muster für die Innendekoration aus "The practical decorator and ornamentalist" George'a Ashdona i Maurice'a Ashdona Audsleya / cNatascha Kubisch, Pia Anna Seger ; [tł. Dorota Felman]. 260 aWarszawa : bBuchmann, ccop. 2010. 300 a300 s. : bil. kolor. ; c32 cm. 700 1 aSeger, Pia Anna. 700 1 aFelman, Dorota. eTł.